Mr. Budge specializes in real estate, water rights, and natural resource law representing cities, corporations, banks, developers, and landowners throughout Southern Idaho in a wide range of transactions, administrative proceedings, litigation, and appeals. He has worked for some of Idaho's largest real estate developments, was intimately involved with the Snake River Basin Adjudication, and has advised clients in connection with more than $100 million in real estate transactions. His experience includes land use, planning and zoning, agriculture, water rights, the Clean Water Act, easements, road disputes, boundary disputes, eminent domain, mining, and energy. T.J. approaches legal challenges with the goal of identifying solutions that can be implemented quickly and cost-effectively. He has argued cases before the Idaho Supreme Court, Idaho Department of Water Resources, Idaho Department of Lands, United States Environmental Protection Agency, and local government boards throughout eastern Idaho. The legal, historical, and practical insights gained from these experiences enable T.J. to provide clear and cost-effective solutions to the most difficult legal challenges that face our clients. Mr. Budge is licensed to practice law in both Idaho and Utah. He is the current President of the Portneuf Inn of Court, a past Board member of the Water Law Section of the Idaho State Bar, and a current member of the Real Estate Section and the Water Law Section of the Idaho State Bar. His article A Fluid Transaction: Buying and Selling Water Rights was published in The Advocate, the official publication of the Idaho State Bar. 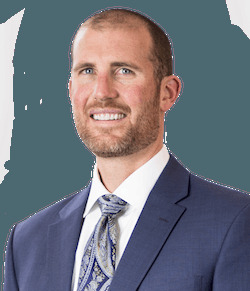 Mr. Budge has been awarded the highest AV Preeminent rating from Martindale-Hubbell, maintains a 10.0 rating with AVVO, was named the 2010 CASA Attorney of the Year, and has been a finalist for the Idaho Business Review Overachievers Under 40 (2015), Professional of the Year (2016), and Business & Achievement (2017) awards. Mr. Budge is married to Heidi Bauer of Mud Lake, Idaho and they have four children. He also serves on the Board of Directors of Pocatello Pioneers Mountain Bike Team, is on the Portneuf Health Trust Endowment Board, and the City of Chubbuck Development Commission, is a member of the Pebble Creek Ski Patrol, and is actively involved in Church and other community activities.